Last month, the German election campaign saw an unexpected statement by the leader of Germany’s liberals, Christian Lindner. 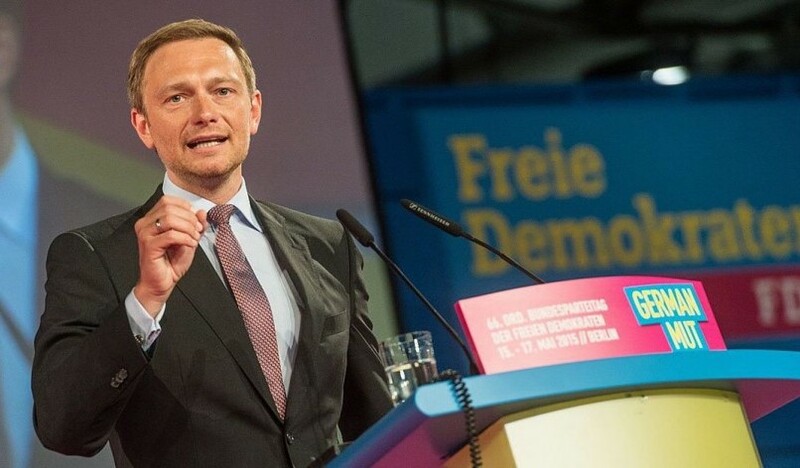 The chair of the Free Democratic Party (FDP) – a centre-right force hitherto known for its hawkish stance in support of international law and all-European integration – proposed accepting Russia’s annexation of Crimea as a “permanent provisorium”. But, while this was unusual, Lindner only expressed a view which can be heard among many politicians, diplomats, and journalists in Germany and other Western countries. In fact, Lindner has – at least within the German political context – not been the most accommodative towards Kremlin expansionism. For instance, the former chair of Germany’s oldest party, the social democratic SPD, Matthias Platzek, suggested in late 2014 to “retroactively regulate, in terms of international law,” Russia’s annexation of Crimea. Alexander Gauland, the deputy chair of the new right-wing populist Alternative for Germany party, which is poised to enter the Bundestag, said this summer that “Crimea is ultimately ancient Russian territory and cannot go back to Ukraine” – thereby fully embracing the Kremlin’s irredentist narrative. The leader of Die Linke, Sahra Wagenknecht, had called for Germany to accept the result of the Crimea referendum even before it took place. The FDP chair was thus relatively moderate in his assessment. Lindner merely stated that, in distinction to the Donbas issue, Crimea’s return to Ukraine is a long-term project. His seemingly pragmatic approach is not only a reaction to Moscow’s manifest unwillingness to return Crimea to Ukraine, and to the very high popularity of the annexation among Russians. Lindner’s approach is symptomatic of larger trends within the EU’s political establishment to go soft on Russian imperialism, and to do so by simply ignoring the actual situation on the ground. As ECFR’s recent research has shown, there are a number of leading parties which are mainstream but which nonetheless regularly incline towards giving their backing to Russia. As Gustav Gressel wrote, “These parties fully embrace the Western model, open societies, free trade, political liberties, social modernisation, and a secular state. But they also promote closer ties or economic cooperation with Russia, easing sanctions at the earliest opportunity, or are equivocal when it comes to how the European security order should be arranged.” As such, on the specific issue of Crimea, the Kremlin-supported narrative is a particularly popular argument of Europe’s Russlandversteher (Russia-understanders) in business circles, armchair punditry, and radical parties. 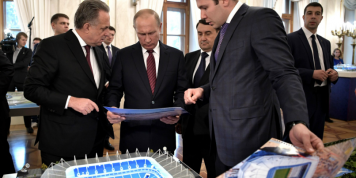 One of the most critical early reports on the pseudo-referendum came from three representatives of the Council for the Development of Civil Society and Human Rights at the office of the President of Russia. One of the members of this official Russian state body had visited Crimea in April 2014. On the basis of this private field trip to the freshly annexed peninsula, the Russian Presidential Council’s report, referring to local interlocutors, estimated that the referendum’s turnout was not 83.1 percent, as officially reported by the Kremlin-installed authorities on Crimea, but rather around 30-50 percent. Support for annexation among those Crimean voters who did vote was not 96.77 percent, as had been reported by the Moscow-controlled authorities, but around 50-60 percent. The latter is a figure not far from the results of opinion polls taken before the annexation, is supported by analyses alleging plain falsification of the voting’s results, and partially confirms even lower estimates by the Mejlis of the Crimean Tatars. 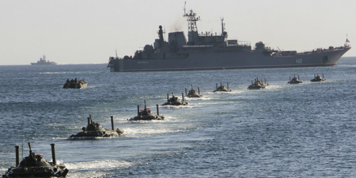 Even allowing for a considerably higher turnout and larger real support for annexation in the city of Sevastopol – base of the Russian Black Sea fleet – this would mean that significantly less than a third of the overall Crimean population actually voted in support of the annexation. This is far too little to even partially justify such a momentous change in Europe’s post-war borders. The Russian Presidential Council report, moreover, quoted Crimean experts who said that the “population of Crimea did not so much vote for joining Russia than for, in their words, a termination of ‘the rampant corruption and predatory coercion of the Donetsk appointees’ [i.e. members of the Yanukovych clan dispatched to Crimea in 2010-2013].” In one of the last reliable polls conducted, in mid-February 2014, a few days before Crimea was occupied by Russian soldiers without insignia, a mere 41 percent of the peninsula’s respondents (excluding the special-status city of Sevastopol) supported unification of Russia and Ukraine into a single state. The various polls that have been conducted after Russia’s military and political takeover seemingly demonstrate large Crimean support for annexation. Yet, for various reasons, this apparently unequivocal public opinion data has limited validity for an interpretation of the events in spring 2014. The more recent polling results partially reflect the effects, on Crimea’s citizens, of the shrill defamation campaign against Ukraine in the Kremlin-controlled media – the only major source of mass information left. Some of the polls also do not address the familiar popular bias towards support for the status quo – an effect that had earlier favoured the peninsula’s continuance in Ukraine even among many otherwise pro-Moscow Crimean respondents. Most post-annexation pollsters seem to ignore the considerable stakes involved, for their respondents, to say to strangers that they support Crimea’s return to Ukraine. 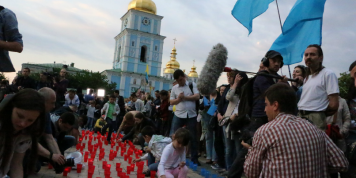 After its annexation by Russia, Crimea has become Europe’s most problematic territory in terms of the protection of civil rights of citizens, in particular of the indigenous Crimean-Tatar population. Moscow and its Crimean proxies work to stigmatise any disapproval of the annexation and are ruthless in their persecution of political dissidents, and even of mere sympathisers with Kyiv, on the peninsula. These conditions were not fulfilled, which is why the OSCE and all other relevant election observer organisations refused to attend. Voting took place under conditions of psychological pressure from visible Russian regular troops without badges (‘little green men’ or ‘friendly people’), and armed pro-Russian irregulars omnipresent across the peninsula. Curiously, no option was presented, on the ballot, for the preservation of the status quo, i.e. the valid Constitution of Ukraine’s Autonomous Republic of Crimea adopted in 1998. Crimean voters were only given the opportunity to vote either for joining Russia, or for the reintroduction of an older, invalid Crimean constitution of 1992. Moreover, both of these two choices were ambiguous in their formulation and content. The first option promised Crimeans ‘re-unification’ (vossedinenie) with Russia. However, Crimea had never been part of a ‘Russia’ that was politically separate from the mainland territory of the post-Soviet Ukrainian state to which Crimea has belonged since 1991. Most of today’s Ukraine had, for approximately as long as Crimea, been part and parcel of both the tsarist empire and the Soviet Union, ie. those states which the word “Russia” in the referendum apparently implied. From 1783 until 1991, Crimea had thus only been united with an empire sometimes called ‘Russia’, and not with a Russian nation-state. The larger part of today’s entire Ukrainian territory once belonged to this empire as much as most of the area of the current Russian Federation. Crimea belonged, within the tsarist empire, to the Tauric Governorate that included not only the peninsula, but also most of today’s southern mainland Ukraine. Both post-Soviet republics, the Russian Federation and independent Ukraine, are therefore successors to the ‘Russia’ to which the 2014 ‘referendum’s’ promise of ‘reunification’ refers. As the Crimean peninsula had not belonged to an exclusively Russian state, separate from mainland Ukraine before 1991, Crimea could not have been separated from ‘Russia’ in 1991, and ‘reunited’ with it in 2014. Until 2014, Russia’s post-Soviet leadership had never officially questioned Crimea’s place in post-Soviet Ukraine. Indeed, it confirmed this in several agreements. The two most important treaties were the 1991 Belovezha Agreement on the dissolution of the USSR, under Boris Yeltsin, and the 2003 Russian-Ukrainian State Border Treaty, under Vladimir Putin. Both agreements were ratified by Russian parliaments (the Supreme Soviet of the Russian Soviet Federative Socialist Republic and State Duma of the Russian Federation) and signed into law by Russia’s presidents. If one still accepts Moscow’s “historic right” to Crimea, with reference to its annexation to the tsarist empire in 1783, one would have to also concede an as deeply grounded historic justification for today Russia to annex much of the territory of today’s mainland Ukraine – colonised for approximately as long by Moscow as the Black Sea peninsula. In addition, many other territories outside today’s Russian Federation could then be also up for grabs by Moscow – as they had belonged to the same ‘Russia’, to which the 2014 pseudo-referendum refers, for roughly as long as Crimea. The referendum’s second option, promising a return to the 1992 constitution, was even more confusingly formulated, as there had been two constitutions in force, in that year, on Crimea. The voters were – either intentionally or accidentally – left in the dark as to which of these two alternatives to annexation their choice would actually refer – to the more confederal Crimean Constitution of May 1992, or to the more federal Constitution of September 1992? Had this second option won, it would have been left to the powerholders to choose among these two different basic laws. One even suspects that this unorthodox second option – rather than the more standard option to simply preserve the status quo – was presented on purpose to increase support for the one clear option left: annexation to Russia. The choice that Crimeans were offered in March 2014 was not so much one between Russia and Ukraine than a decision between clarity and limbo. None of this information is exceptional, secret, or original. The facts listed above and an array of other revealing aspects of these events are well known in Ukraine and among experts within Western academia, governments, mass media, and civil societies. Yet the Russian narrative is still widespread of a perhaps somewhat roughly initiated referendum that, however, eventually led to a decision allegedly supported by the vast majority of Crimeans. The full outcome of this month’s federal election in Germany is not yet clear. But it is obvious that Moscow will warmly welcome leading German politicians repeating its preferred lines. 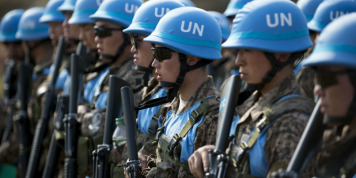 It hopes that they in time become part of standard Western discourse on Crimea’s annexation. Dr. Andreas Umland is Senior Research Fellow at the Institute for Euro-Atlantic Cooperation in Kyiv, and editor of the book series “Soviet and Post-Soviet Politics and Society” published by ibidem Press at Stuttgart and distributed by Columbia University Press at New York. Eleanor Knott (London School of Economics), Dmytro Shulga (Renaissance Foundation Kyiv) and Frank Golczewski (University of Hamburg) made useful comments on an earlier draft of this text.